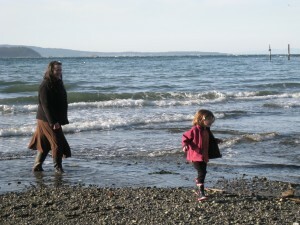 In February 2010, Sharlet and her son Liam (9) went to Orcas Island with friend Marci and her three children: Issak (8), Sydney (5) and Will (6 months) Orcas Island is part of Washington State’s gorgeous San Juan Islands, a ferry ride and drive from either Seattle or Victoria, BC. The San Juan Islands usually show up on a Top 10 Islands list every year in a travel publication or site, and are a don’t-miss experience if you’re visiting Seattle. The three islands (Lopez, Orcas and San Juan) each offer various kid-friendly options, but Orcas is a nice pick if you want a balance between stuff to do and a secluded retreat. Q: Did you find a child-friendly hotel on Orcas Island? Sharlet: We had a great family get-away at the West Beach Resort. Definitely a great place for kids to roam the beach and play; very family friendly at a reasonable cost. We stayed in a beach-front cabin, two-bedroom arrangement. We liked that it was casual, so we didn’t have to worry about the kids tracking sand in. We just opened the door and swept it back out. The cabin had a small kitchenette that we were able to prep all our own meals in. It wasn’t fancy, but it was clean, comfortable and reasonably priced. We also liked that each cabin had a wood burning stove inside (good on chilly days) a picnic table on the porch, and a fire pit & outdoor chairs right in front by the beach. 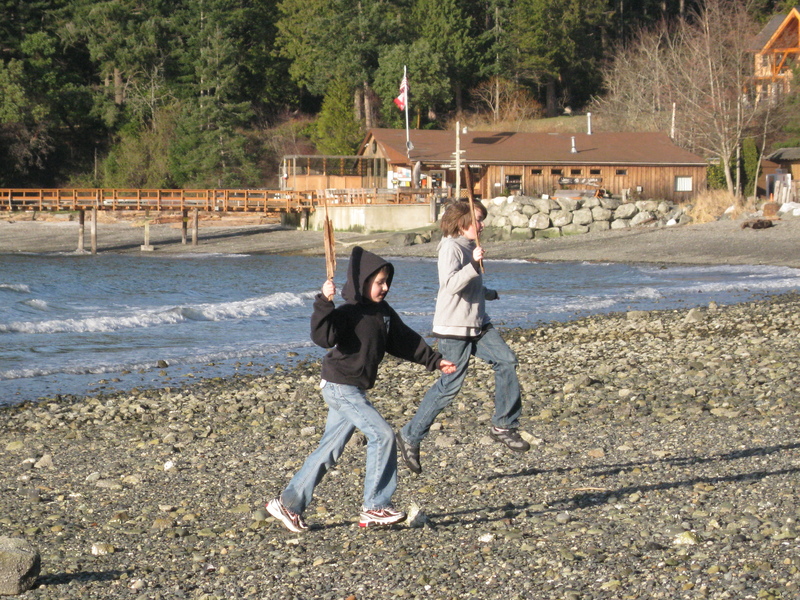 Q: What kinds of things did you do with kids on Orcas Island? The resort helped to connect us to Outer Island Expeditions, and had a fantastic half-day boat tour north of Orcas. We saw porpoises, seals, sea lions, lots of herons, bald eagles and other bird life. Captain Beau was fantastic with our children. He was patient with their busy-ness and tendency to interrupt when he was talking — which is typical of young kids — but it’s not so typical of tour guides to be patient with them! Apparently his mother was a school teacher, and Captain Beau seems to have picked up some of her skills! The highlight was a trip to Suscia Island, where he took us to a fossil beach with fossils approximately 65 million years old; which is hard to even wrap the brain around. It was fascinating for all of us, and like finding buried treasure for our children! Q: What else did you do on Orcas Island with kids? We puttered around Orcas just looking at other beaches, but our kids were so happy at West Beach that we spent most of our time there. The website has a link to some pottery places that we wanted to take in, but we ran out of time. At The Right Place Pottery, next to the resort, kids can make their own stuff on the pottery wheel. We’d like to try it in the future though. Downtown Orcas is charming and almost everything is in walking distance. There’s also a children’s art and science museum called The Fun House. We were saving it for a rainy day — which luckily didn’t occur — but it looked enjoyable. We went to Moran State Park and putzed around, but we didn’t stay in the park. Although we did see deer that were so tame they walk right up to you- hoping for snacks. A big thrill for the kids! 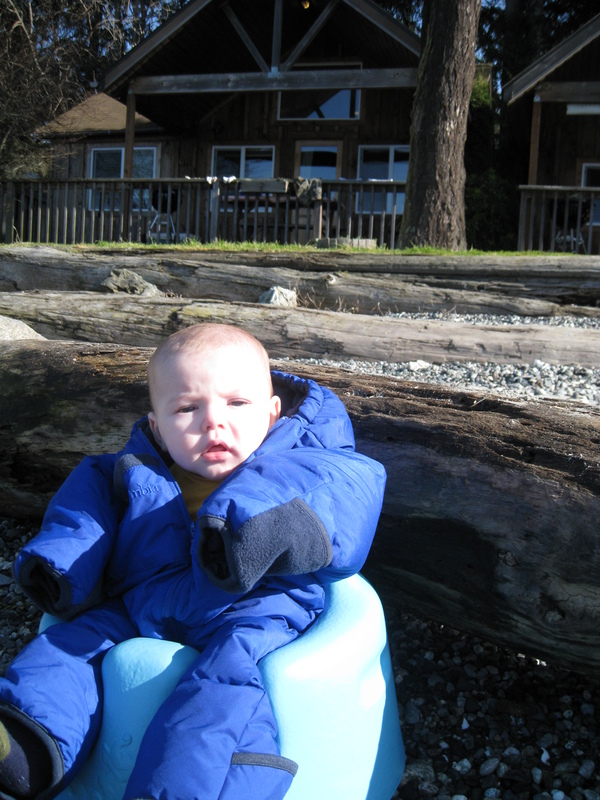 Q: Did you eat in any family-friendly Orcas Island restaurants? We cooked meals in our kitchenette at the resort, so no food recommendations. We did get groceries at the Island Market though, which isn’t big but has a reasonable selection. Not a lot of organics or specialty foods though, so I recommend taking those with. Although we saw that they have some great summer open-air markets (Orcas Island Farmers Market) later in the year. We were able to dig clams at the resort- and even though it wasn’t at low tide time, we were able to cook up enough for each kid to try them and say “ewwwww….!”. They just haven’t developed a taste for shellfish yet! The kids can also fish off the dock there. We were there at off-season time, so no luck, but they had fun trying. Q: What was it like to go in the off-season to Orcas Island, to go in winter? Did you find cheaper rates? February was unusually warm this year, so no extra coats required. Most years, however, I would think you’d want rain gear. It was quieter in the off-season, and a little less expensive — we got lucky with the weather! But that wood-burning stove in the cabin would be great on a cold rainy day. Q: Anything else you’d like to add about your family vacation on Orcas Island? Only that we would definitely go again, and we’re hoping to plan a trip there with multiple families at the same time.